She's Fantastic: Rock Candy - WONDER WOMAN & DIANA! 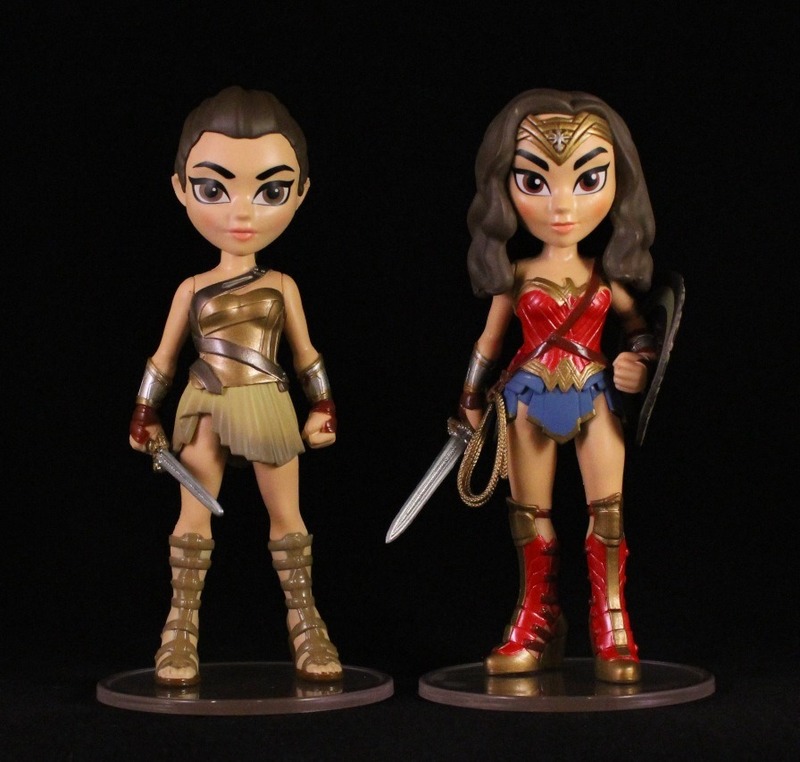 Rock Candy - WONDER WOMAN & DIANA! I tried to go back to the movies to see Wonder Woman for a second time this past weekend but the showtimes just didn't work out for my schedule. I'm still reeling over the fact that there was a really great DC movie. And that is was a female-led movie is just icing on the cake. I don't want to count my chicks before they're hatched, but I'm super excited for the Gotham City Sirens and Batgirl movies now. They could be equally great if given the same creative respect as this film had. After I left the theatre opening weekend, I really had to limit myself with Wonder Woman movie collectibles. It's my collecting impulse to horde plastic representations of all things I love. But I really restrained myself and limited my purchases to the Mattel Multiverse and these Rock Candy figures. I think I'm going to be a completist with DC and Marvel Rock Candy. I'll skip necessary repaints, but original sculpts are too tempting for me to pass up. These two figures are gorgeous and do not disappoint. Let's check them out below! First up is the Amazon Wonder Woman figure. This costume in other toy forms is often referred to as Diana of Themyscira. She's available everywhere. And here is the Hot Topic exclusive Wonder Woman. I'm kind of amazed they made a new sculpt for this costume since the BvS figure from last year is so similar. Here are the two new movie figures together. And here is the Hot Topic Wonder Woman with last Summer's BvS Wonder Woman. And here they all are with the comic version added. I think the Hot Topic one is a little nicer, just because of her body language. I love, love, looove the movie costume. I mean its kind of cheap, but if all they do is keep giver her a different sword/shield each movie I would be fine with that. Yeah I completely agree. Wonder Woman never seemed like the kind of character who would think it necessary to change her costume contantly anyway. I can imagine there being some golden armor version in the next movie, but I hope the basic costume stays consistent.